They are all over the world. Scoring goals, tallying assists, stopping attackers, and making tough saves. 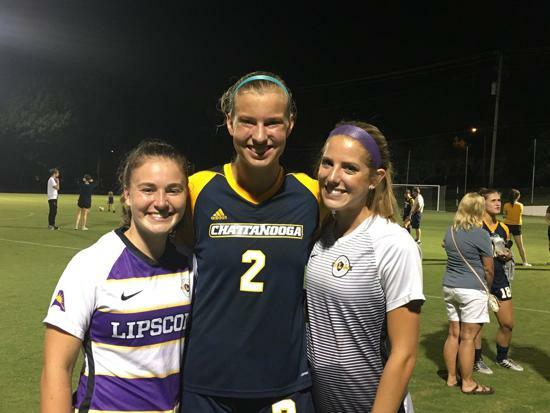 More than ever, FC Alliance alums are making an impact at the next level. 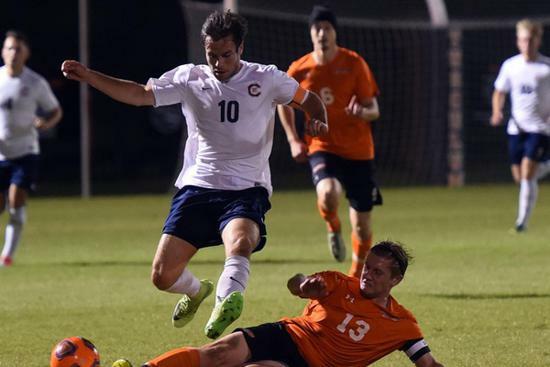 Ranging from NCAA Division 1 to NAIA to professional soccer, former players are making their mark at an impressive rate. In the pro ranks, the club is represented by Molly Dwyer (Sunderland in England), Fletcher Ekern (SV Seligenporten in Germany), Cameron Schneider (Curridabat FC in Costa Rica), Will Little (Sporting KC of the MLS), and Bijan Gloston (Guam’s national team). 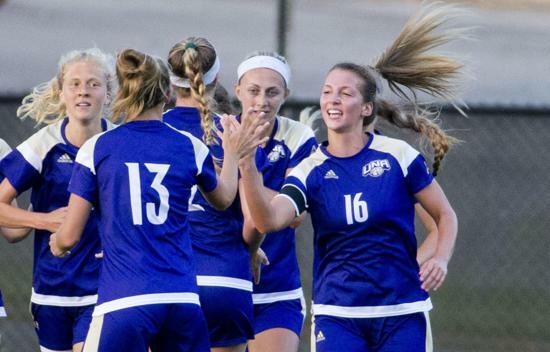 At the collegiate level, more than 100 players are currently thriving. “The club’s role in development is more than just getting you to the next level, it is helping you be ready when you get there,” said FC Alliance Director of Coaching Josh Gray. One standout high on the club’s list of collegiate stars is Chloe Arnold. Playing for Chattanooga, she was named the Southern Conference Freshman of the Year last season. Currently, she is the 10th leading scorer nationally in NCAA Division 1 with 11 goals for the Moccasins. 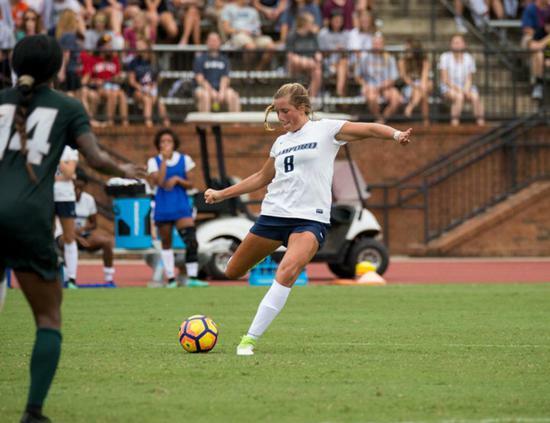 Ironically, the runner-up to Arnold for the Southern Conference freshman of the year honors was another FC Alliance alum, Samford defender Grace Sommi. Sommi started 20 games as a freshman for the Bulldogs. Both players show the value of being college-ready; that opportunities exist for players the moment they step on campus. On the boys side, East Tennessee State University and FC Alliance have built a pipeline from Knoxville to Johnson City. 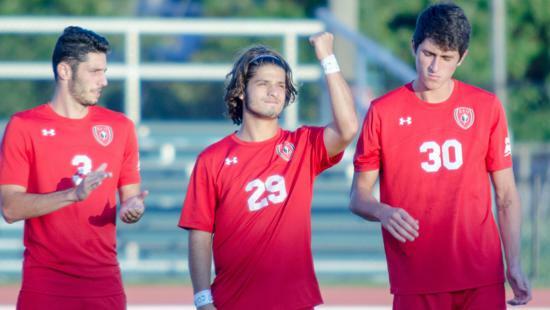 The red hot Buccaneers- winners of seven of their last nine games- feature FC Alliance alums John Lucchesi (11 starts), Javier Alberto (9 starts), and Austin Bihlmeyer (10 starts). In 2017, Bihlmeyer was named to the SoCon All-Conference freshmen team. Josh Denton and Jordan Broadwater are also seeing action. 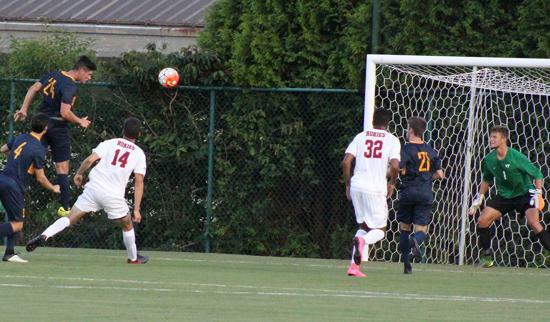 Broadwater scored his first collegiate goal on October 9 against VMI. 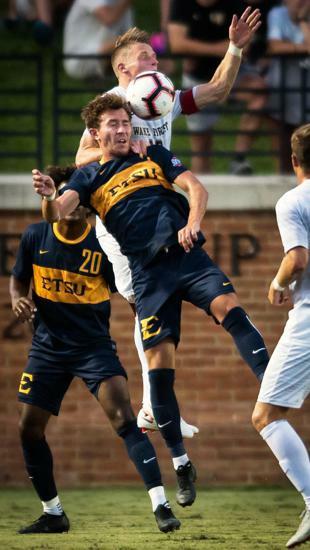 ETSU has worked it’s way into the NCAA Division 1 national picture over the last few years, including multiple national tournament appearances. 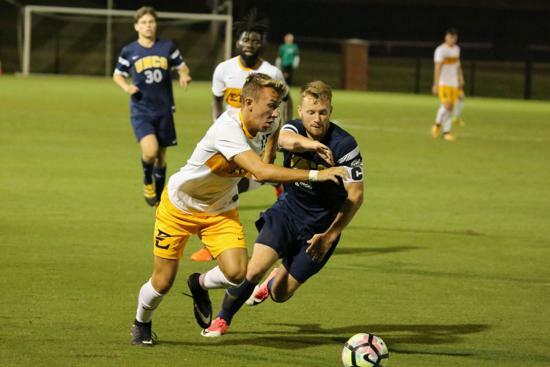 Last year, former FC Alliance players Fletcher Ekern and Ben Holt were starters and significant contributors to a team that lost only four games all season. 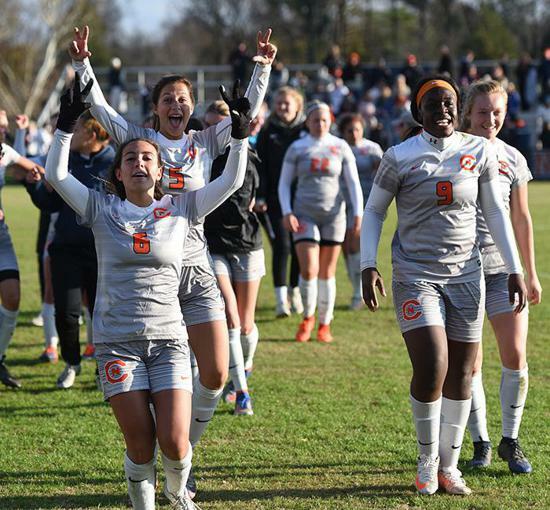 The list of club alums who are currently making an impact at the next level is lengthy, although incomplete; however, it magnifies the just how good some of these players really are. (1) Conner Jacobs, John Hopkins University. Jacobs has started 52 of 52 career games and is one of the top players in the Centennial Conference. The defender has scored four goals and recorded 10 assists in three years for the Blue Jays. (2) Maddie Rickets and Abbey Saddler, Arkansas. The pair of freshmen are playing in the SEC, following the footsteps of three other FC Alliance alums who played for the Razorbacks. Rickets scored her first career goal against Baylor and recorded an assist against Florida Atlantic. Saddler has yet to see the field, which is typical for true freshmen goalkeepers, but her progress has been strong. 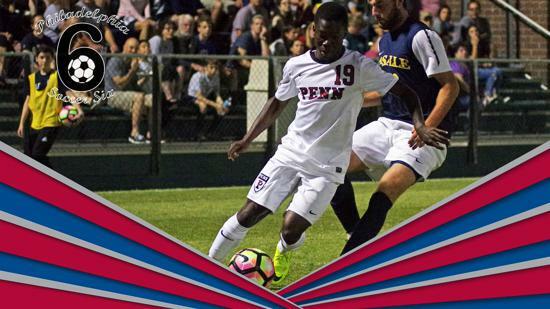 (3) Dami Omitaomu, Penn. Omitaomu has started 33 games in three years for the Ivy League school, although he missed the first half of this season. He made his mark on college soccer as a freshman, scoring a pair of goals against Brown- including the overtime game winner. (4) Ashley Seltzer and Gabby Powers, Marshall. 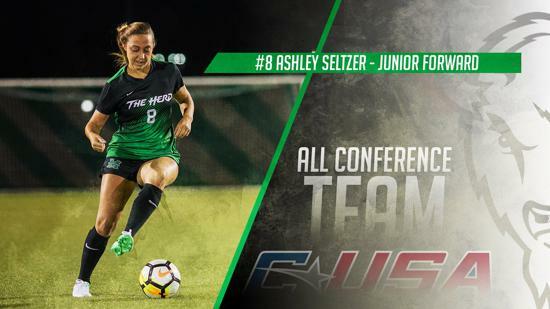 Seltzer has had a prolific career for the Thundering Herd. From scoring goals in nationally televised games to leading the team in minutes played, the senior has scored against both Army and Florida International this season. Fellow alum Powers has started all 13 games this year after scoring six goals as a redshirt freshman in 2017. Among those she scored against: ETSU, Ohio, and Southern Miss. 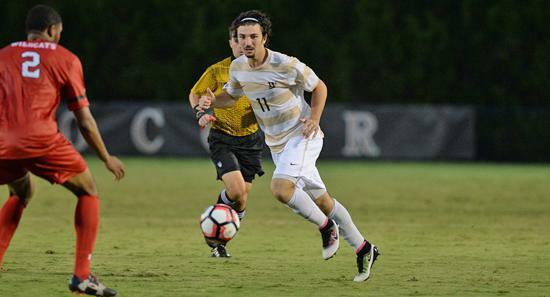 (5) Lucas Altman, Wofford. 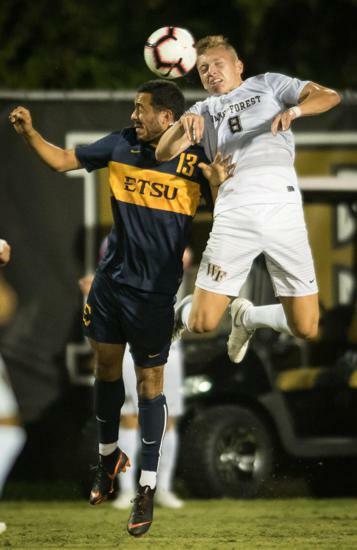 Altman has started all 11 games for the Terriers this season, after coming off a 2017 campaign in which he started 18 games and scored six goals, including one against ETSU. 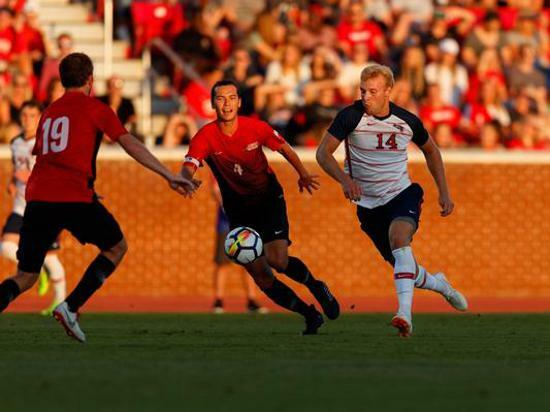 Altman earned SoCon player of the week honors after scoring goals against UNC-Greensboro and VMI. 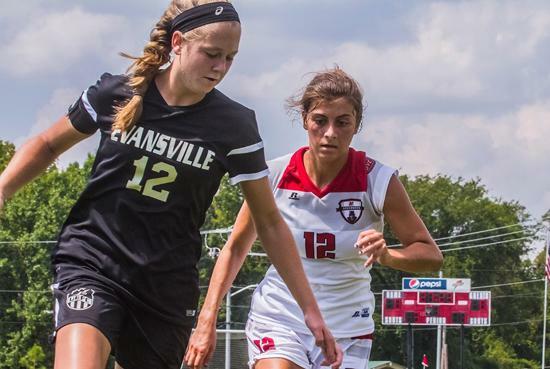 Wofford was also the home to another high profile FC Alliance alum in 2017: All-Conference perfomer Katie Beuerlein scored seven goals and notched four assists for the women’s team. (6) Scott Lich, University of Chicago. Lich has started 10 games as a defender for the unbeaten Maroons. The team has recorded eight shutouts this season. (7) The MTSU Squad. The Blue Raiders are 9-3-1, coming off a huge win over Charlotte. Big wins this season include victories over Rice and UTEP. They played Florida State close for a half in Tallahassee before falling 3-0. 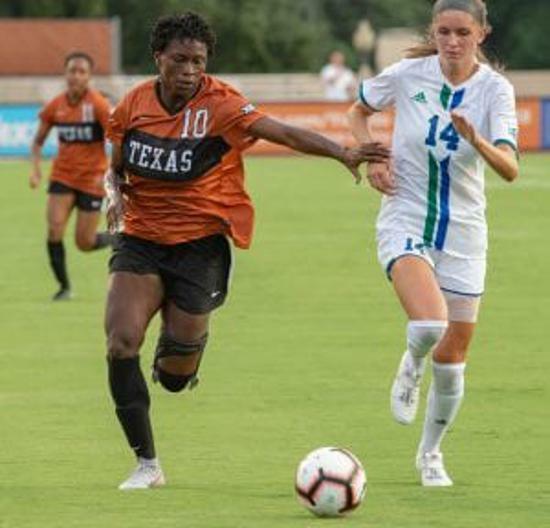 The roster is stacked with six FC Alliance players: Tionna Thompson, Sam DeBien, Casey Riemer, Katie Thomas, Savannah Stair, and Gwen Breslin. 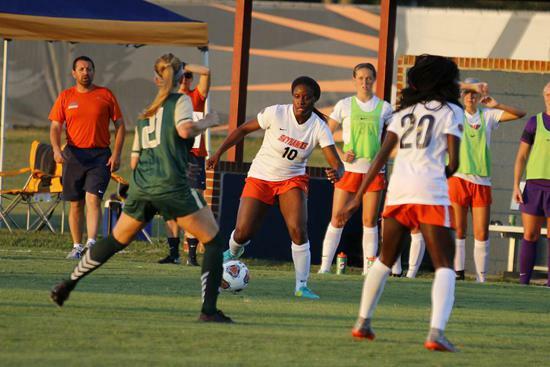 DeBien has scored three goals this season, including two game winners, and she has added four assists. Reimier and Stair have started every game this season. (8) Emily Threatt, Western Carolina. Threatt has started 42 games in her three-year career with the NCAA Division 1 Catamounts. She was named to the SoCon All-Tournament team last year and she has scored ten career goals. (9) Matt Zacyk, Liberty. Zacyk has started all 11 games for the NCAA Division 1 Flames, and he's scored two goals and notched two assists. One of his best games was against national powerhouse Central Florida in which he had a huge first half assist to keep Liberty in the game. (10) Tecora Turner, Texas. Turner missed most of last season with an injury, but she is beginning to regain her form. In 14 games this season, she has scored a goal and recorded four assists. Turner played a season high 56 minutes against North Carolina. (11) The UTC Crew. The Moccasins have had more than just Arnold contribute. Masey Fox has started all 15 games and scored three goals and tallied four assists. Bailey Gale has also started every game and is credited with two goals and two assists. 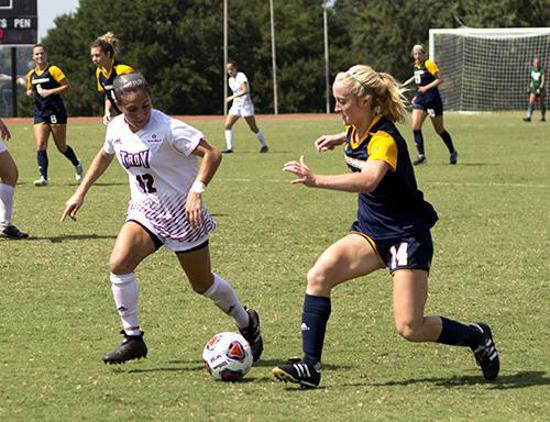 Emily Szymanski scored her first collegiate goal on October 7 to defeat ETSU 1-0. Molli Miller has been with the team four years as a goalkeeper. (12) Skylor Keane, UT Martin. 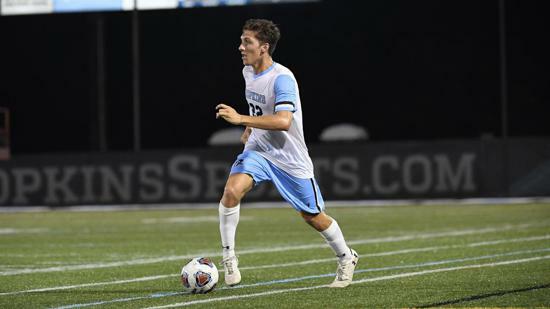 Keane has been a terror as a true freshman for the NCAA Division 1 Skyhawks. She has started 12 games for her 10-2-1 team, and she's scored four goals and recorded three assists. 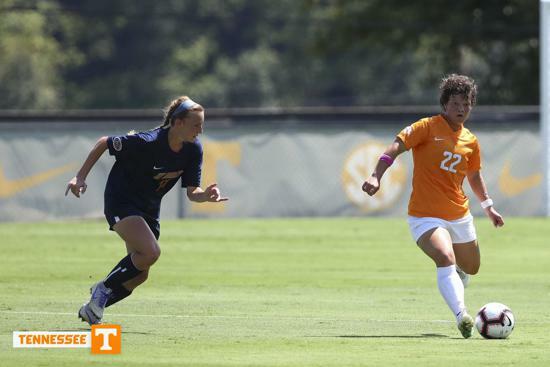 She played 65 minutes and had a shot on goal in a tough 2-0 loss to the Tennessee Vols in September. (13) Katelyn Colvin and Kaci Mitchell, UT Martin. Colvin and Mitchell have also made their marks for the Skyhawks. Colvin led the OVC in assists last year with eight, and she now has sixteen for her career- which is nearly the highest in program history. She also had a shot on goal against Tennessee in the September loss. Mitchell has started 26 of 26 games in her career and scored four goals; she has twice been named OVC defender of the week. 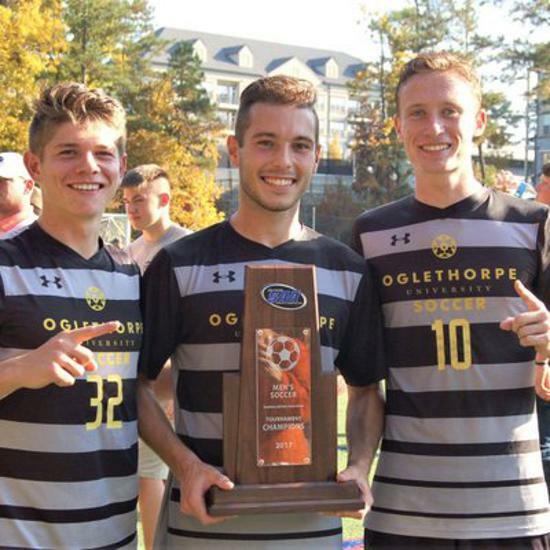 (14) Gabe Alvarez, Oglethorpe. Alvarez has scored 17 goals and been credited with 11 assists in his three-year career. Oglethorpe is currently unbeaten in conference play and sits at 7-2 overall. (15) Renee Semaan, Austin Peay. 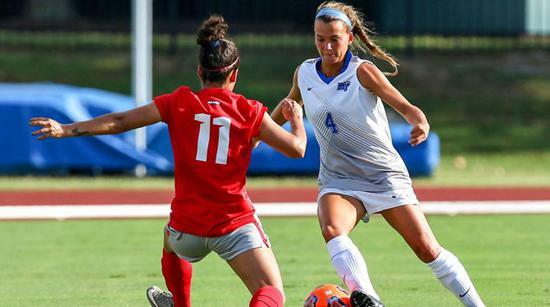 Semaan has started all 52 games in her career at Austin Peay, scoring three goals and tallying four assists. Her goals have come against Western Kentucky, UT Martin, and Chattanooga. 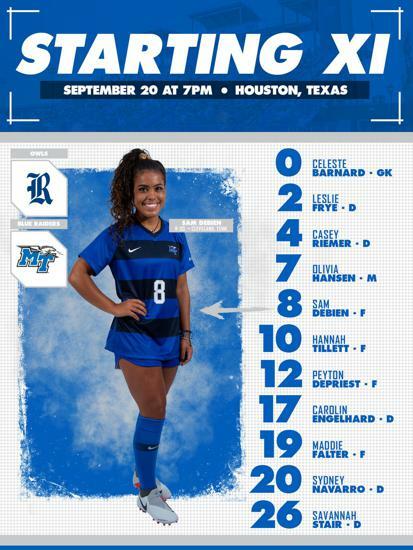 (16) Gillian Oyos, UNC Asheville. Oyos has started ten consecutive games for the NCAA Division 1 Bulldogs as a true freshman. 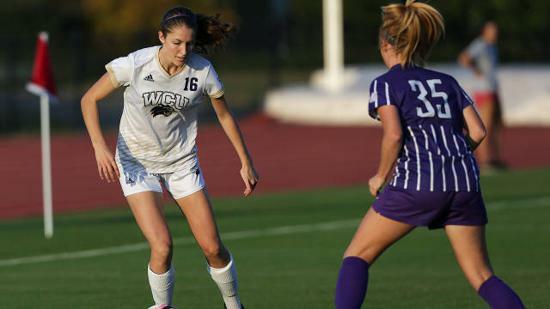 She scored against Citadel and Longwood, and she recorded an assist against Wofford. (17) Lucas Canineu, St. Francis. Canineu has played 34 games in three years for the NCAA Division 1 Red Flash. He’s scored three goals and notched an assist. He played 65 minutes in a tough loss to West Virginia earlier this season. (18) Preston Robinette and Morgan Hutchison, Presbyterian. 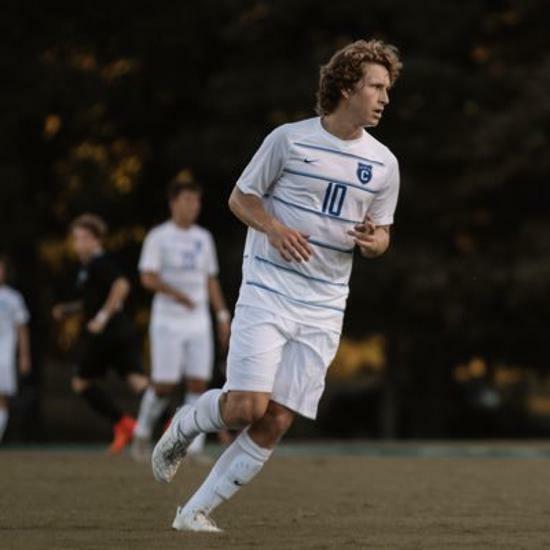 The FC Alliance duo are two of the NCAA Division 1 Blue Hose top scorers. Hutchison has four goals and an assist, while Robinette has three goals and five assists. Robinette’s five assists are good for second in the Big South Conference. 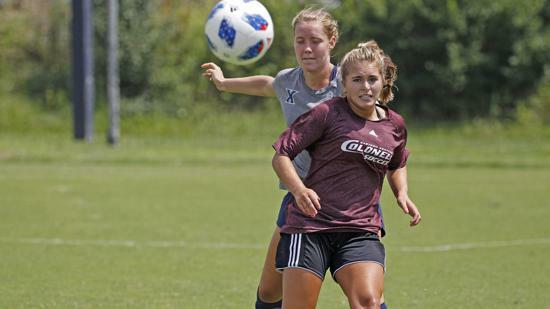 (19) The Lee University Lady Flames. Anna Lanter has started all 12 games this season, and she dished out a pair of assists against Auburn Montgomery. Devin Healy has also started every game and she's scored four goals, including two in a 3-2 win over North Georgia. True freshman Abbie Vibbert scored her first career goal on October 7 in a win over Spring Hill. Kate Carney has started 17 games over the past two years, while Anna Leslie has started 27. Julia Kaset has started five as a true freshman. Sara Corum and Ellie Weekly have both played in multiple games this year. (20) The Carson-Newman bunch. 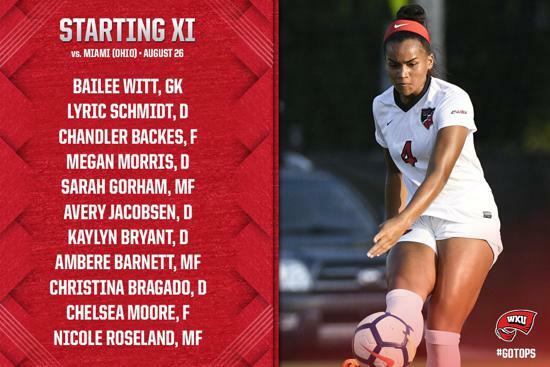 Averi Williams, Alex Brandon, Madison Huffstetler, Sydney Bailey, Lainee Griffith, and Jasmine Rizk are on the roster for the women this season. Rizk has started four games in goal, while Williams, Brandon, and Huffstetler have started every game. 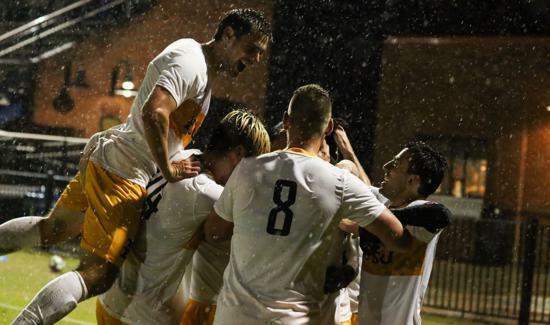 Last year, the Eagles were NCAA Division 2 national finalists. (21) Bailey Sipos, Maryville College. 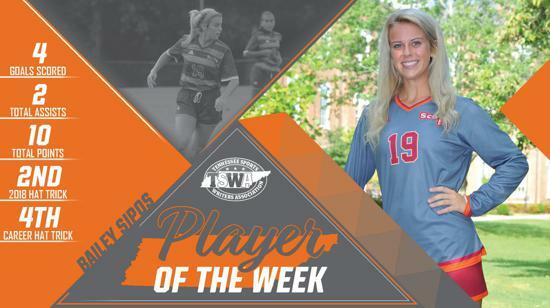 Sipos was recently named national player of the week for the Lady Scots, becoming the first player in school history to achieve this. Sipos has been torching teams this season, scoring 11 goals. This is quite the encore to the 15 goals she scored last year as a freshman. Expect a slew of postseason awards for the talented attacker. (22) The other Maryville College Scots and Lady Scots. At 6-3-1 this season, the men are an impressive 5-2 in conference play. The FC Alliance alums are Luke Semann, Ryan Jorgensen, Chris Fernandez, Ian Schomer, Kai Miettinen, Davis Clothier, Jameson Elmore, Cole Hilton, Ryan Clift, Reese Pugh, and Jace Burchfiel. The women are 8-5 and undefeated in the conference (5-0). 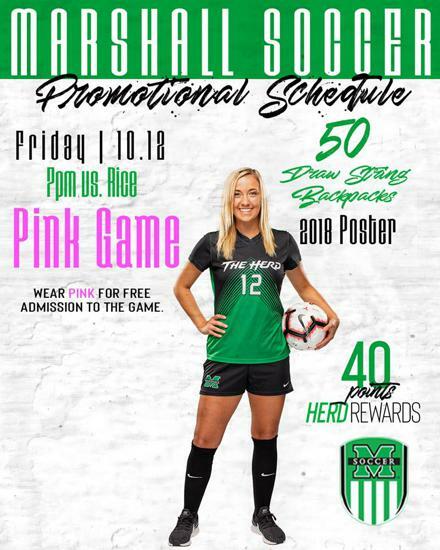 The roster includes Maggie Wilson, Macy Lindsey, Zoe Van Hook, Lexie Reeves, Alyssa Kral, Hannah Clothier, Chelsea Gould, Kelly Allen, and the aforementioned Sipos. Van Hook, Reeves, and Hannah Clothier have all scored for the women. Clothier’s brother Davis has also scored for the men, as has Miettinen, Burchfiel, Elmore, and Hilton. 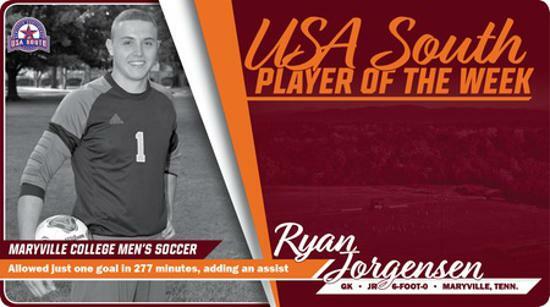 Ryan Jorgenson has started every game in goal, and has been named USA South player of the week. (23) Haley Yarber, Kelsey Jones, and Megan MacLean, North Alabama. Yarber and Jones anchor the Lions' defense, which has recorded five shutouts this season. Yarber leads the team in minutes played and Jones has started every game. They are joined on the squad by fellow FC Alliance alum Megan MacLean, who has seen action in three games as a true freshman. The NCAA Division 1 team is 9-6 with the Atlantic Sun conference just two weeks away. 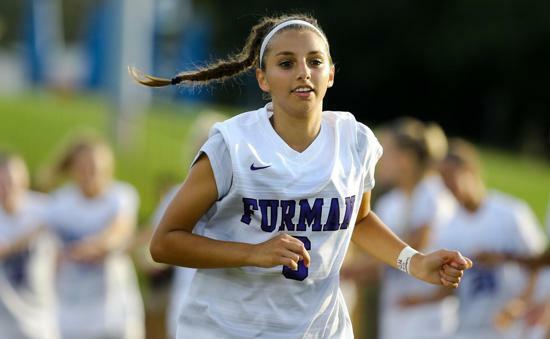 (24) Isabella Gutierrez, Furman. The Paladins were happy to bring in another FC Alliance player, having just graduated one of the school’s most prolific scorers in Molly Dwyer (who netted 28 career goals). Gutierrez has started 11 games this season as a true freshman, seeing action against the likes of Clemson and Kentucky. She scored her first career goal against North Greenville. (25) The Lipscomb Lady Bison. Emily Patti has played in nine games as a true freshman for the NCAA Division 1 school, and Hannah Torbett has played in six. Allie Dunn scored a goal and had two assists in five games before being injured. 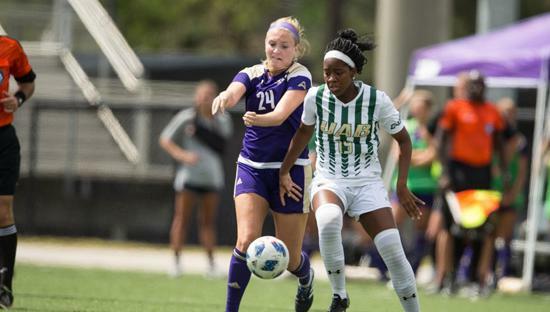 Lipscomb sits at 8-4-2 this season, including a marquee win over Florida Gulf Coast, who was unbeaten and ranked #24 in the AP Top 25 poll at the time. They also knocked off the Kentucky Wildcats. (26) Maggie Burkett, UT Martin. Another successful Skyhawk, Burkett has started 40 games in the last three years. She has been named to the All-Conference team and scored against Western Kentucky and Murray State. (27) Lauren Barcelona, Eastern Kentucky. Barcelona has played in five games as a true freshman for Eastern Kentucky, including logging 32 minutes against the University of Kentucky. The Colonels upset the Wildcats 1-0 for their first win over UK in school history. (28) Addy Cronan and Carter Steedly, Covenant. Cronan has been a force for the Covenant attack, scoring seven goals, including braces against Oglethorpe and Salem. She has been credited with two game winners. In 2017, she was named to the USA South All-West division first team and the USA South All-Tournament team. Fellow club alum Carter Steedley has played in 11 games for Covenant this season, giving her 49 career appearances for the Scots. 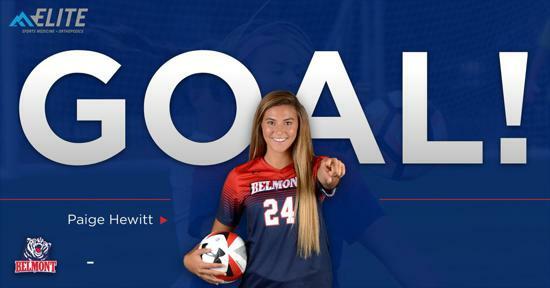 (29) Paige Hewitt has played in 13 games for NCAA Division 1 Belmont this season, scoring against Eastern Illinois. 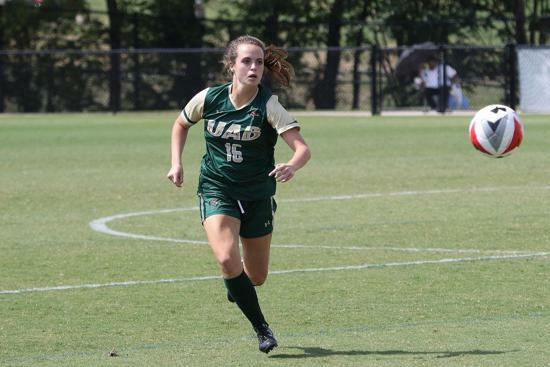 (30) Paige Merry has played in 40 games for Alabama-Birmingham since 2016. 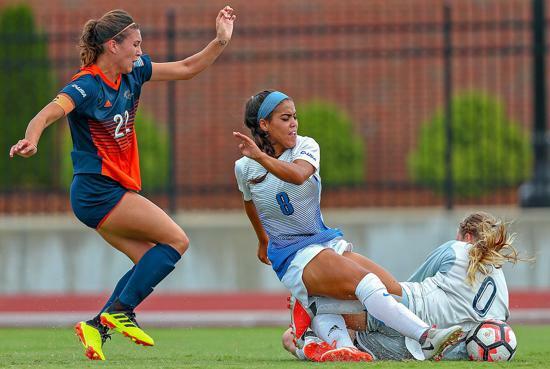 She scored a huge goal against UNC Asheville as a freshman, and she's been a steady contributor ever since. (31) Lucas Lavender has started 20 games in the last two years for King College. He has scored once and assisted twice. (32) Shawn Foster has played in 48 games in the last four years at Tusculum. He has scored four goals. (33) Lyric Schmidt has started nine games as a true freshman for Western Kentucky this year, including against SEC foe Vanderbilt. She also played 29 minutes against Ole Miss. (34) Luke Orren has played in 46 games over three years at Southwestern University. He's scored three goals and recorded an assist. (35) Ashlyn Miller has played in four games as a true freshman at Lincoln Memorial. She scored a game winning goal against Salem on September 1. (36) Madison Thomas has started all ten games for Milligan this season, while Megan Kent has played in four. (37) Makena Giles has been one of the leading scorers for Bryan College this year. She is joined on the team by fellow alum Mya Patel. (38) Kaitlin Ramsey has started 21 of the 25 games in which she has been at Berry College so far. She scored a goal in a huge win over Suwanee. (39) Clarity Voy has played in seven games this season for the undefeated Centre College Colonels. (40) Abie Adamson has scored a goal for Agnes Scott College this season. (41) Anthony Buzzeo has played in 38 games for Covenant College since 2016. He has recorded seven goals and two assists. This year he has started 13 games and scored four goals in his best season yet. (42) Piper Wells has played in nine games this season for Methodist University. (43) Lainee Bohanon has played in nine games for Wofford this year as a true freshman. 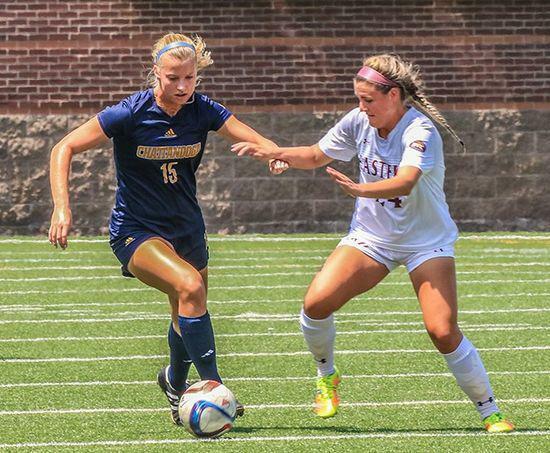 (44) Goalkeeper and true freshman Tess Mrozek has seen action in a game for ETSU. (45) Katelyn Gibbs has played in 32 games in her four-year career with Concord University. (46) Ruth Ellen Bailey has played in three games for Wheaton this season. (47) Katelyn Hutchison has played in all 10 games for Trevecca this season, recording a goal for the 8-3-2 Trojans. (48) Maddie Nye has started all 11 games this year for Bard College as a defender, coming off 16 starts last year. (49) Tennessee Wesleyan is the home to Emily Saddler, Rachel Bean, and Skotti Bullington. 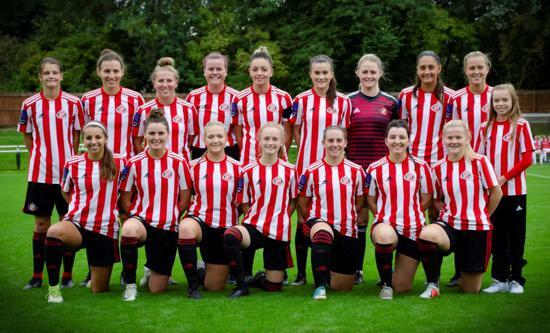 Saddler has started nine games this season, while Bean has played in eight and Bullington five. (50) Erin Douglas is the starting goalkeeper for Freed-Hardeman as a senior. (51) Kourtney Halliburton has started 13 games for Berea College this year. (52) Ashley Zimmerman is in her second year at Murray State. She has appeared in two games and is working her way into the rotation. (53) Sarah Slusher has begun her second year with Georgetown College as a goalkeeper. (54) Merrin Gilmer is a true freshman at Samford and made her career debut October 7 against Western Carolina. (55) Mayson Liner has played in six games for Wofford this year as a goalkeeper, including 110 minutes in a marathon 1-1 tie with UNC Asheville. This list is incomplete and we will continue to update it with more players and newer statistics as the season continues.